THIS IS A REPEAT A SHOW FROM MARCH 3. With Vladimir Putin and the United States staring at each other like the gunfighters in the final scene in the "Good, the Bad and the Ugly," War College takes a fresh look at NATO. We wanted to know what kind of shape the nearly 70-year-old alliance is in. ciao putin! nothing can stop Der Trump!!! @user-849333425: One word “Allies”. If the US want to have influence over Europe, the US need Allies. Imagine the US let Europe defending its self and they choose to make friend with Russia? The US will lose influence over EU and it will effect US business trying to go over there, it will affect the US economic grow, it will effect number of job grow at home, it will effect amount of tax money the US gov can correct, it will also affect your opportunity to find job, on & on. The same thing be applied to every region of the world. That why the US want to protect Japan, SK in East Asia, that why the US want to please the Saudi. It is a give an take both on security and economy. Why is it US' responsibility to defend Europe? Let them defend themselves. Download ICYMI: Can NATO still put up a fight against Russia? Users who like ICYMI: Can NATO still put up a fight against Russia? Users who reposted ICYMI: Can NATO still put up a fight against Russia? Playlists containing ICYMI: Can NATO still put up a fight against Russia? 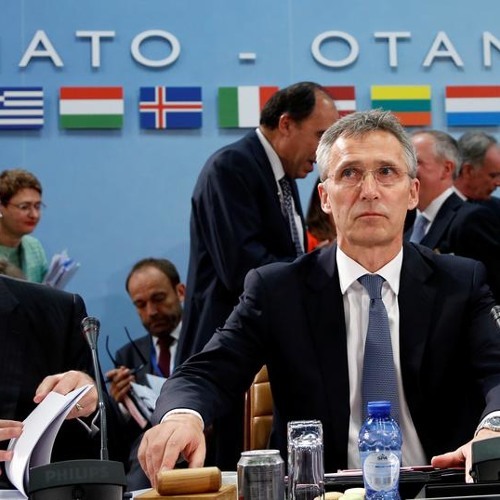 More tracks like ICYMI: Can NATO still put up a fight against Russia?